I like to write about what is unique to Eureka Springs. Very often I write about the attractions because there are so many things to do here. Sometimes I write about the way Eureka looks…with its endless springs, winding streets, mountainside Victorian homes, and hidden stairways…it is an opulent little town. But the essence of Eureka is… the people that live here. Eureka is… the shopkeeper who gave up her career to move to Eureka and open an art gallery because art is her passion. Eureka is… the slight gentleman who builds and rebuilds the endless stone walls that line the streets because he finds fulfillment in caring for the town’s character. Eureka is… the city gardener who takes small spaces and makes them extraordinary…bursting with color and unexpected features (like topiary bunnies). 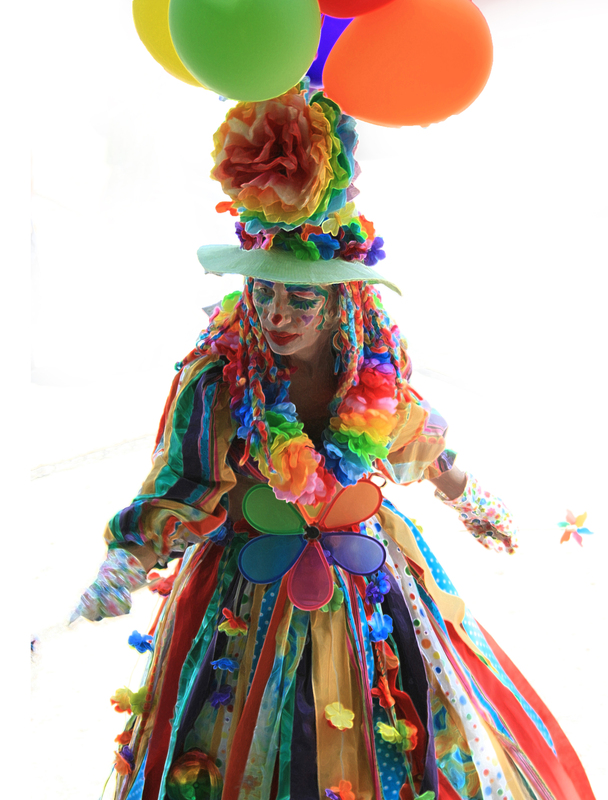 Eureka is… a clown…yes, a clown named Margo lives in Eureka Springs and if you have ever attended a parade, you have seen her. Her name is Margo Pirkle…and she loves to make people laugh. Margo began clowning around when she was younger and living in New Orleans. Her degree in child development prepared her to work as an educator of children but when her father became ill with Alzheimer’s, Margo became more involved with elder care. Pirkle believes that there are many similarities in dealing with young children and elder adults suffering from memory loss like those affected with Alzheimer’s. Today, she helps families to care for their elder loved ones at home and works at an assisted living facility to organize games, celebrations, exercise, and learning activities for older adults…keeping everyone around her laughing. Whether Margo is providing care or leading a parade, her sense of humor and positive spirit are colorful threads of the diverse fabric that makes Eureka Springs…a one-of-a-kind place to visit or live. 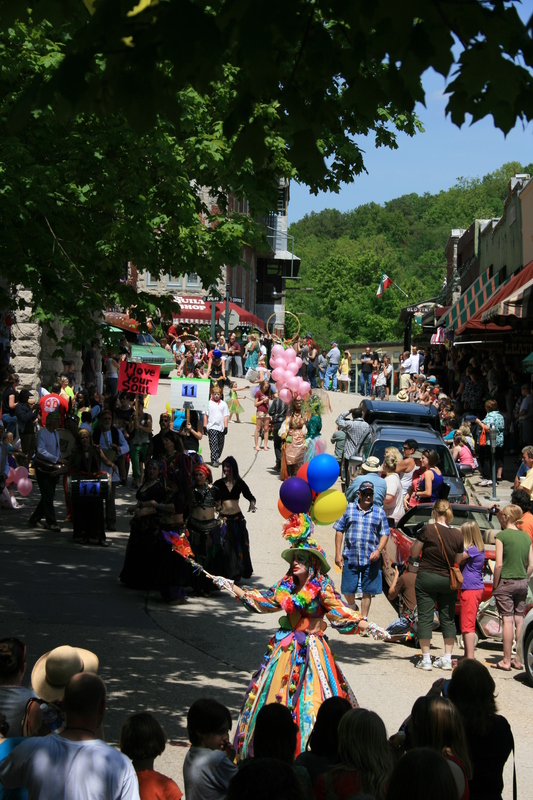 Eureka Springs celebrates parades on a regular basis. Look for the next scheduled parade on the Official Calendar of Events at EurekaSprings.com and plan your trip. Be sure to look for Margo! Want to be the first to hear about last minute specials? 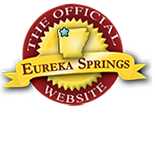 Sign up to receive the EurekaSprings.com newsletter. The Official Site for the Greater Eureka Springs Region provides the best deals but only to their newsletter subscribers (everyone can’t get the best deals).businesses throughout Eureka Springs. This entry was posted on June 21, 2011 by estcblog in Arts & Culture, Festivals, Fun Downtown, Things to Do and tagged historic downtown, history, local culture, Mardi Gras, May Festival of the Arts.